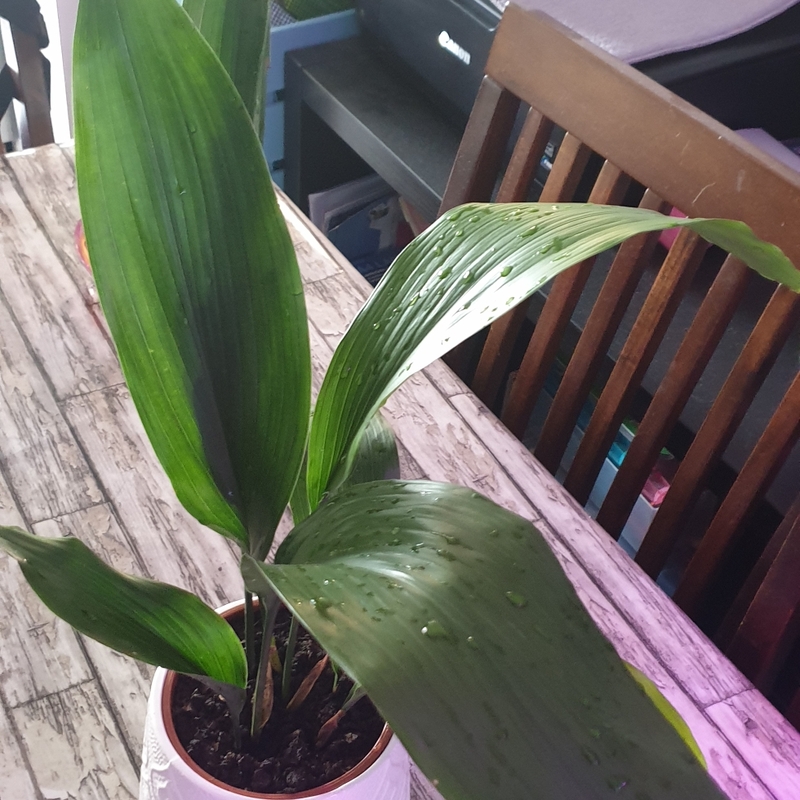 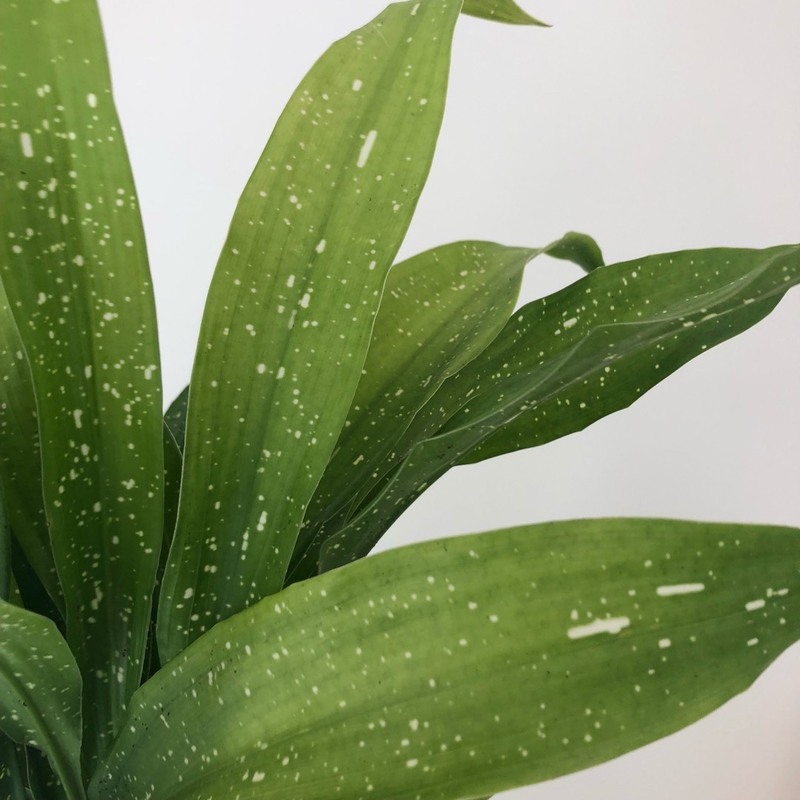 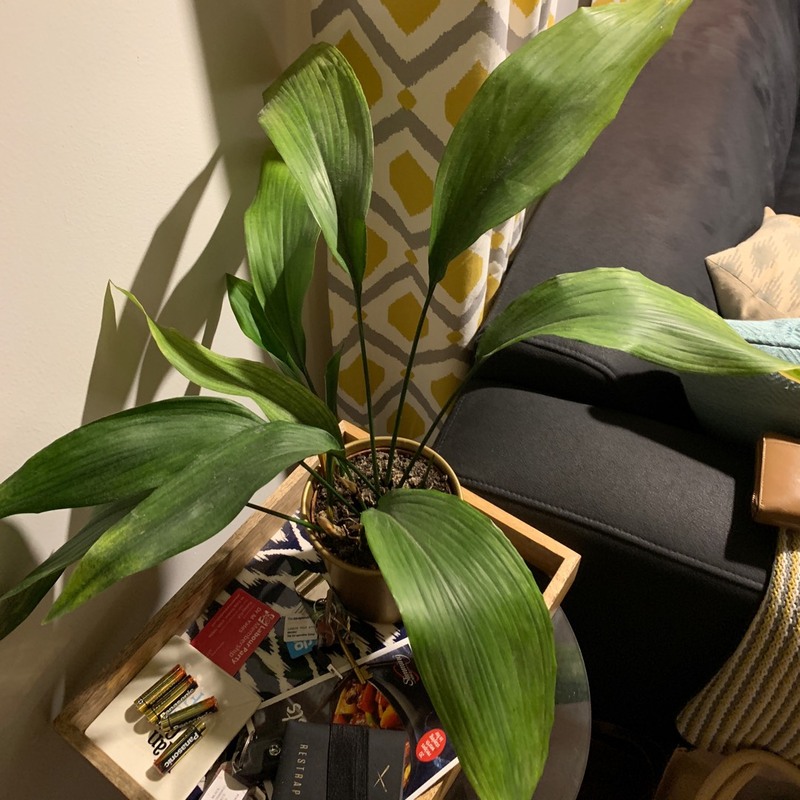 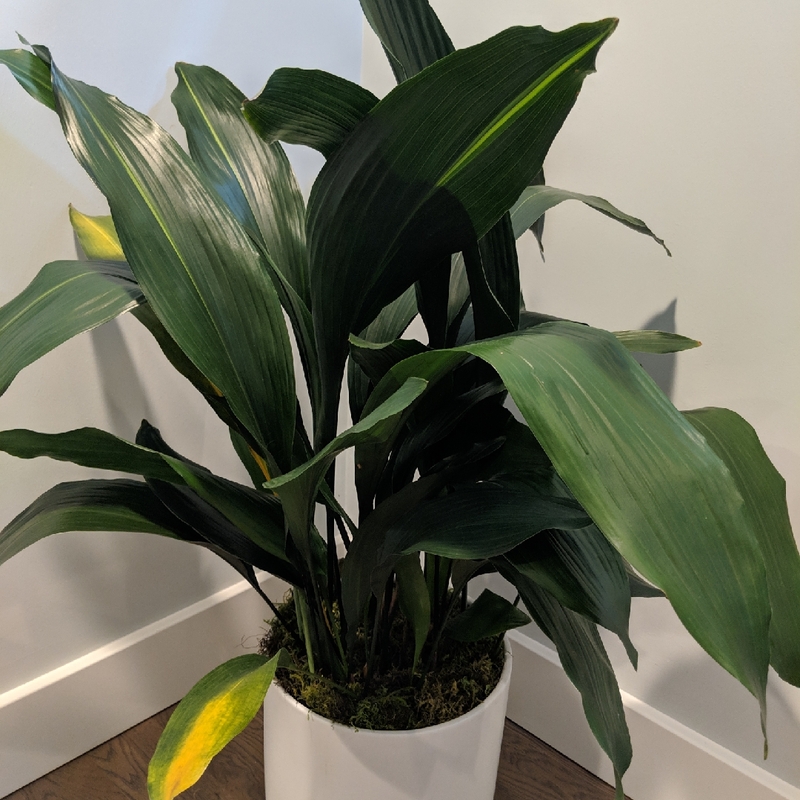 Aspidistra elatior - or cast iron plant - is a rhizomatous, evergreen perennial, generally an indoor foliage plant that bears elongated, broad, lance-shaped, waxy dark green leaves up to 2' long, and 4" wide. 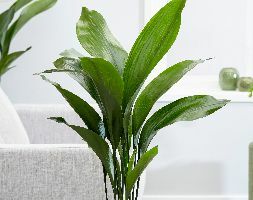 The plant will tolerate a fairly low light, but the plant will be much fuller in good light, but direct sunlight should be avoided, as it can scorch the leaves.. Avoid direct sunlight, which can scorch the leaves. 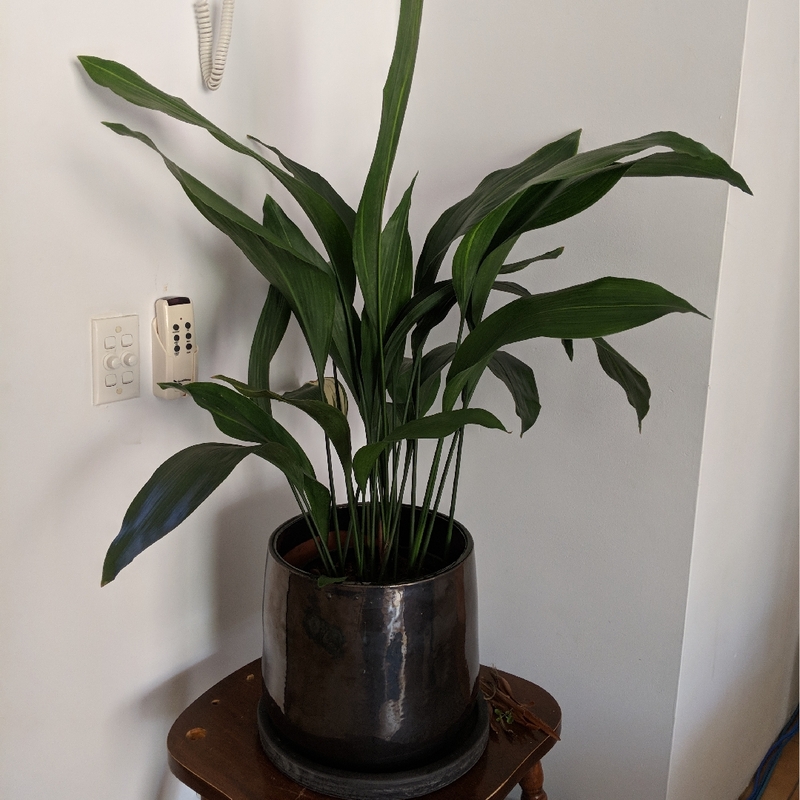 A temperature of over 55 deg F should be maintained. 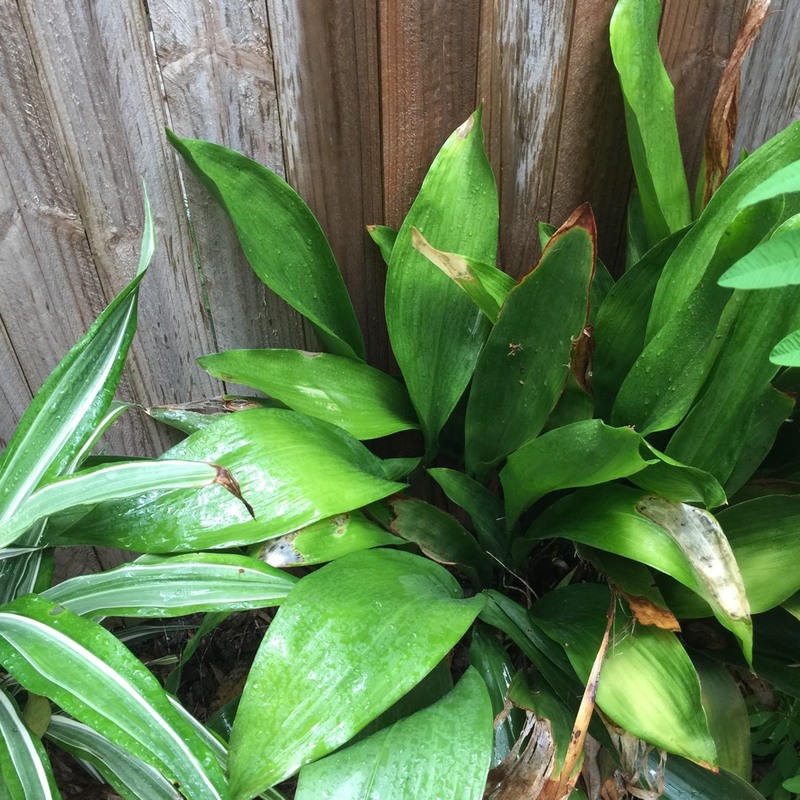 In warm weather the plant an be placed outdoorsInconspicuous flowers are borne in early Summer, usually a dull cream-brown colour. 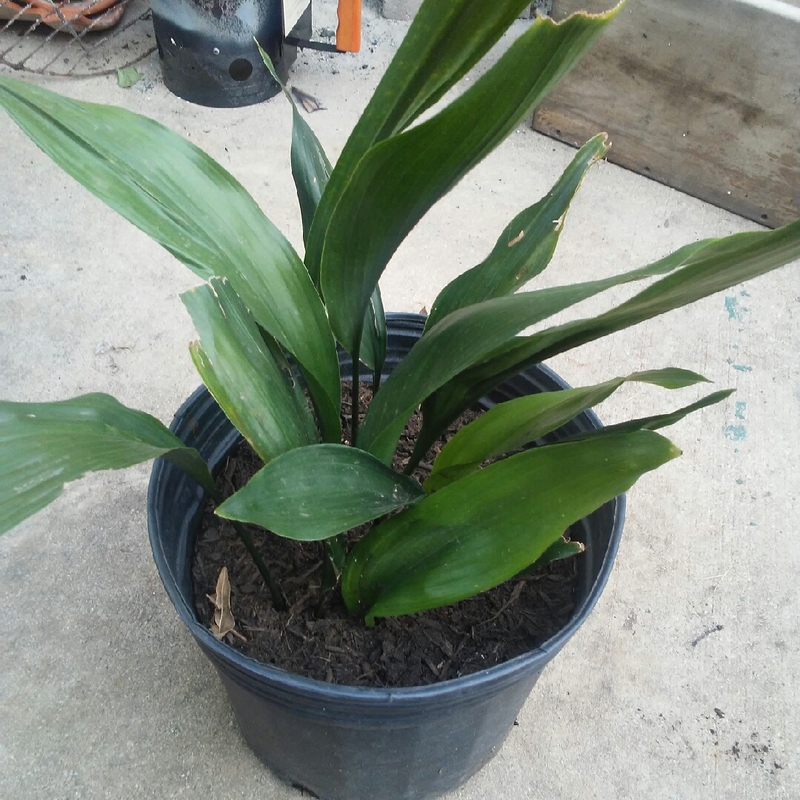 FERTILIZER Feed with a diluted fertilizer once a month. 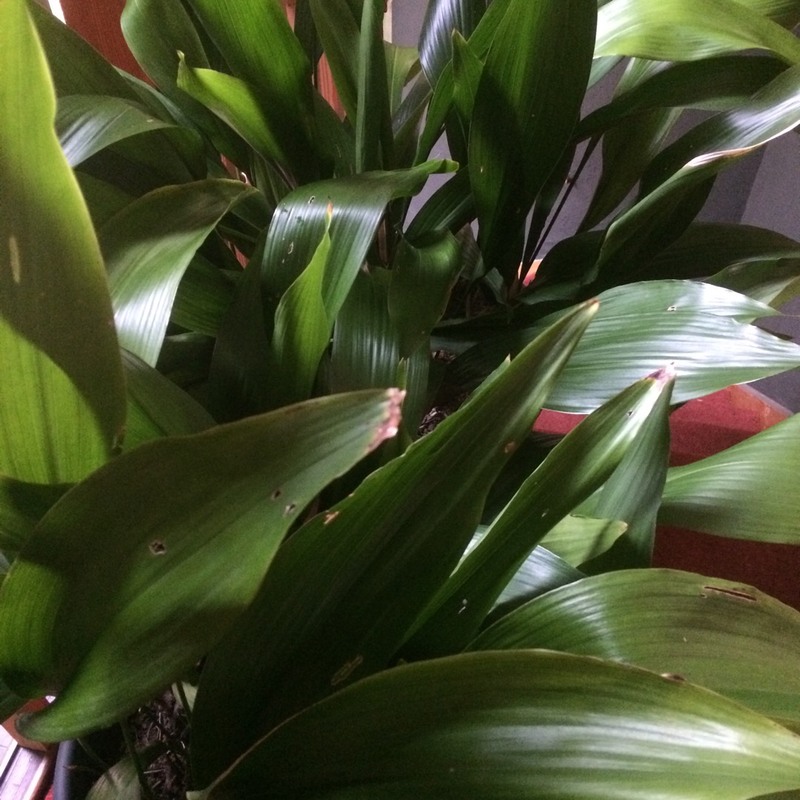 PROPAGATION Cast-iron plants can be propagated by division. 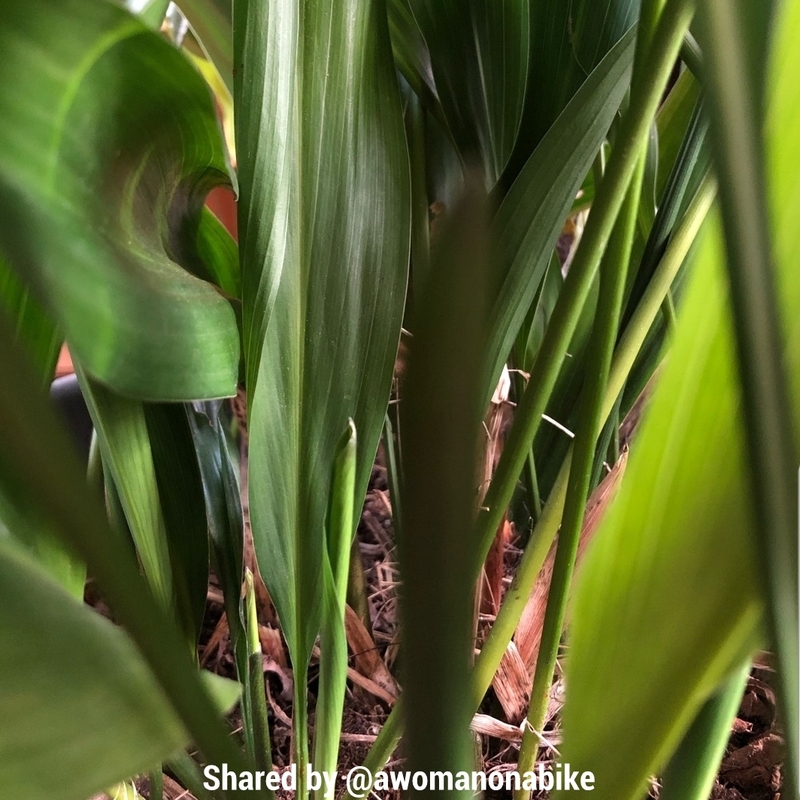 Slitlike holes between the leaves’ veins are a sign that too much fertilizer is being used. 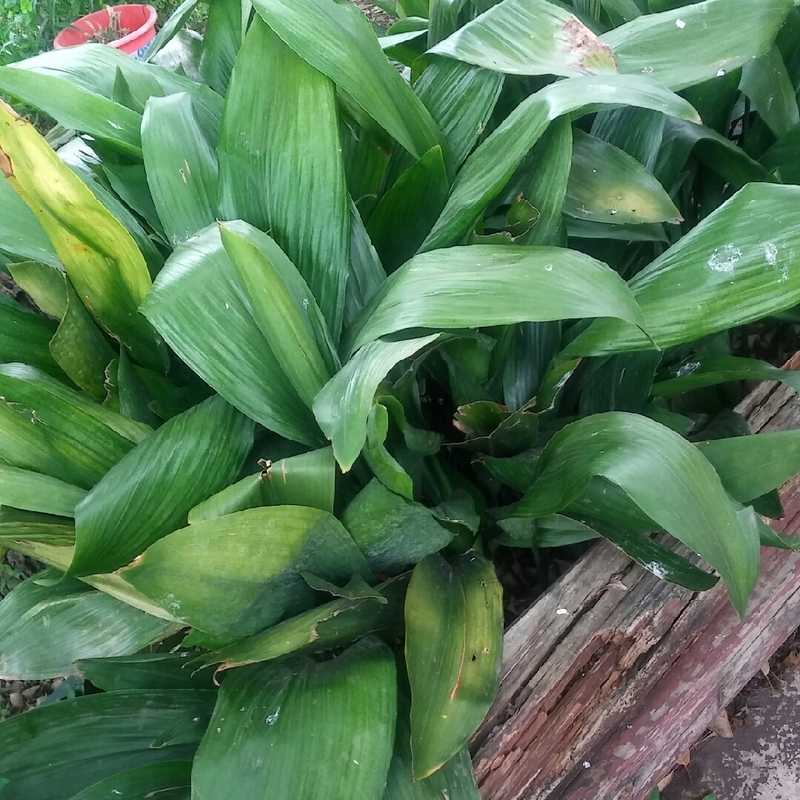 To remedy, flush out the excess by drenching the pot and letting it drain, then skip a fertilizer treatment and start up with a more diluted fertilizer solution in the future. 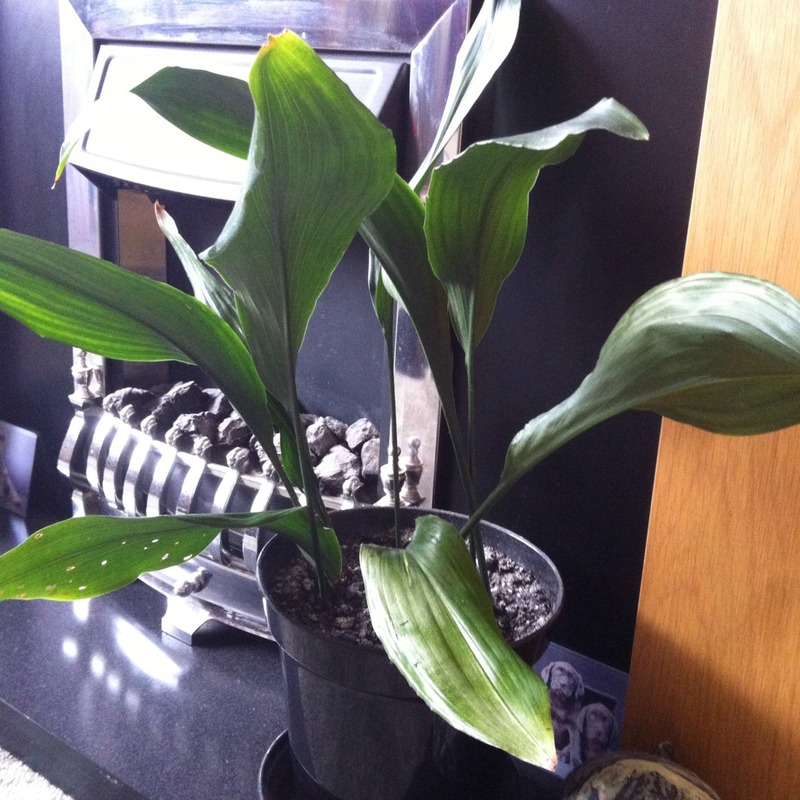 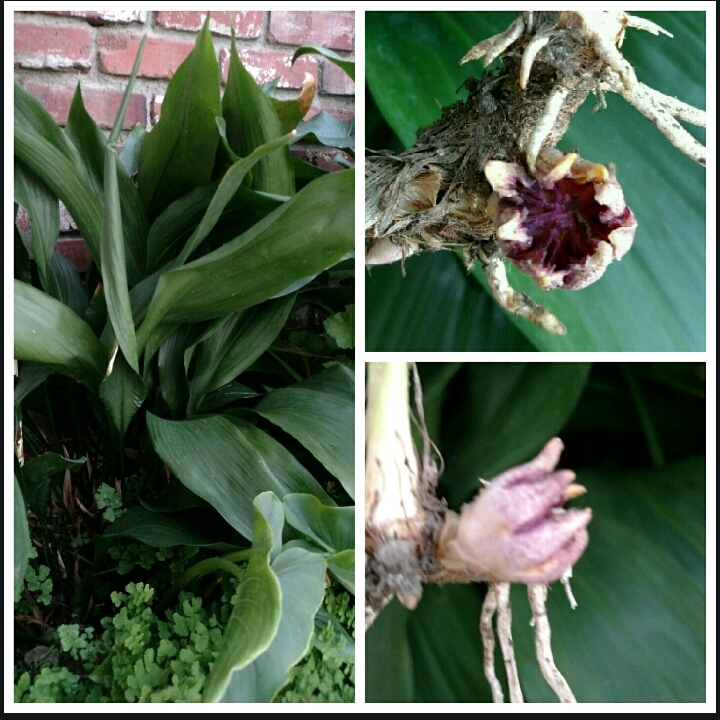 Propagate aspidistra by root division. 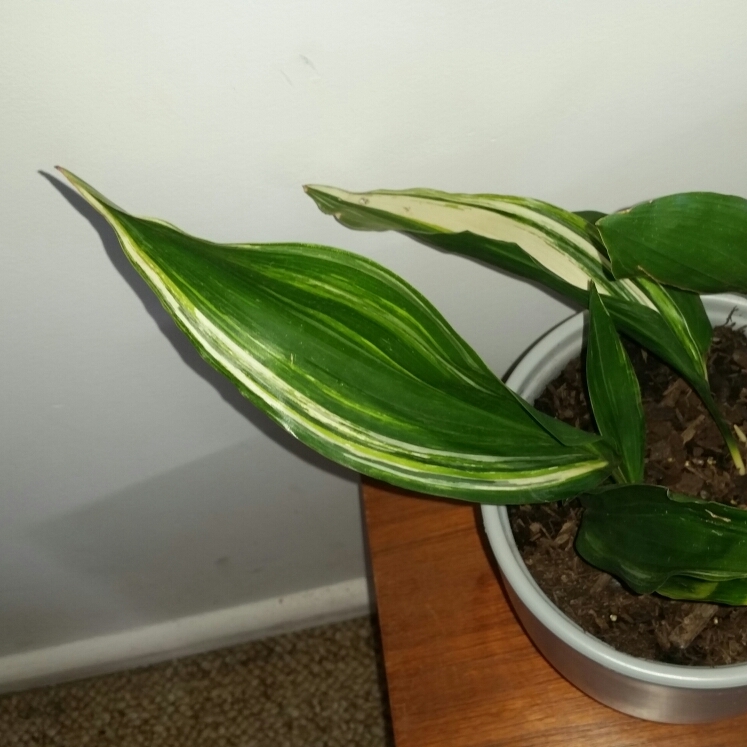 The best time to do this is when the plant is not actively growing. 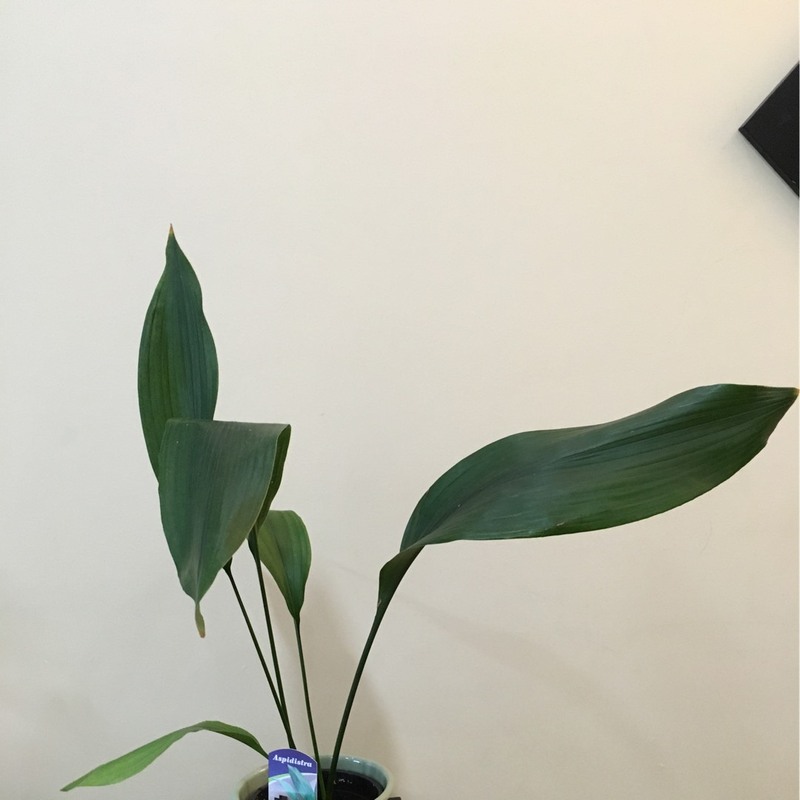 Remove the plant from the pot, and cut each division into two to three leaves. 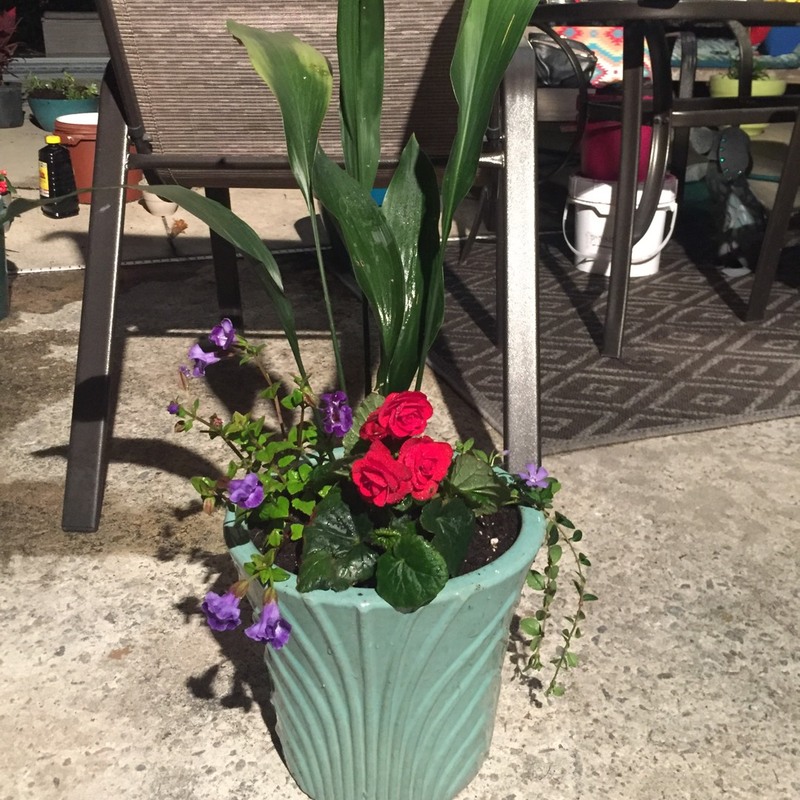 Plant several divisions together, to make a large potted plant. 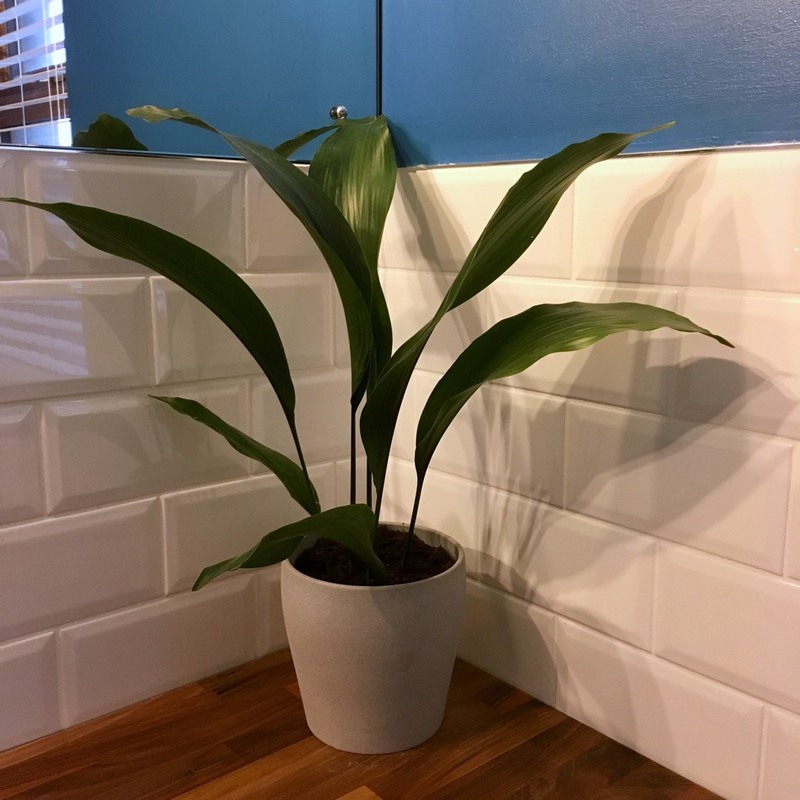 Water each new plant, but make sure any excess water drains out. 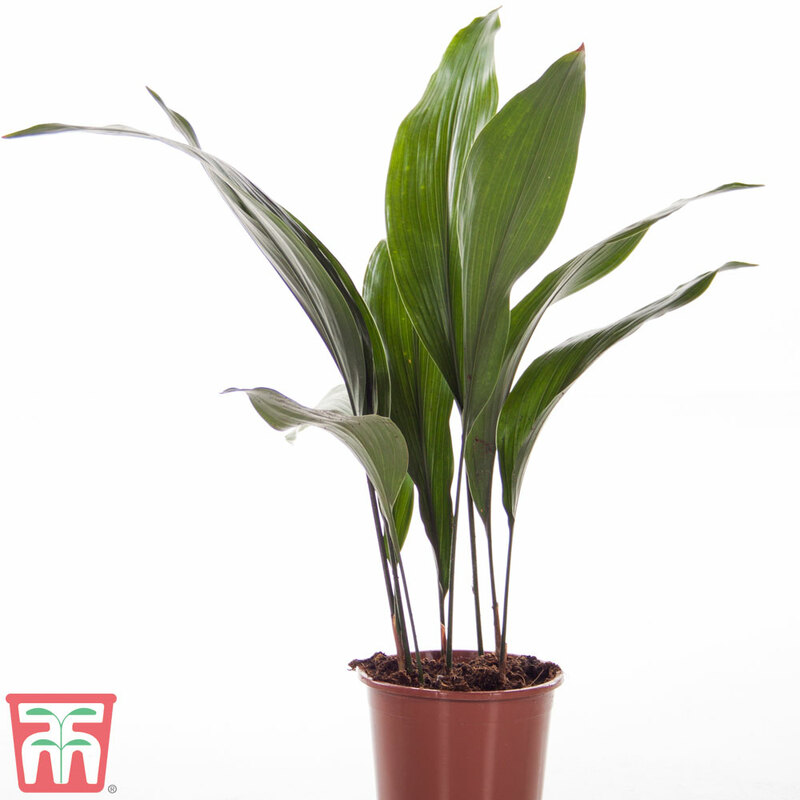 Aspidistras are usually grown in a pot indoors, but in the right conditions, they can be grown outdoors. 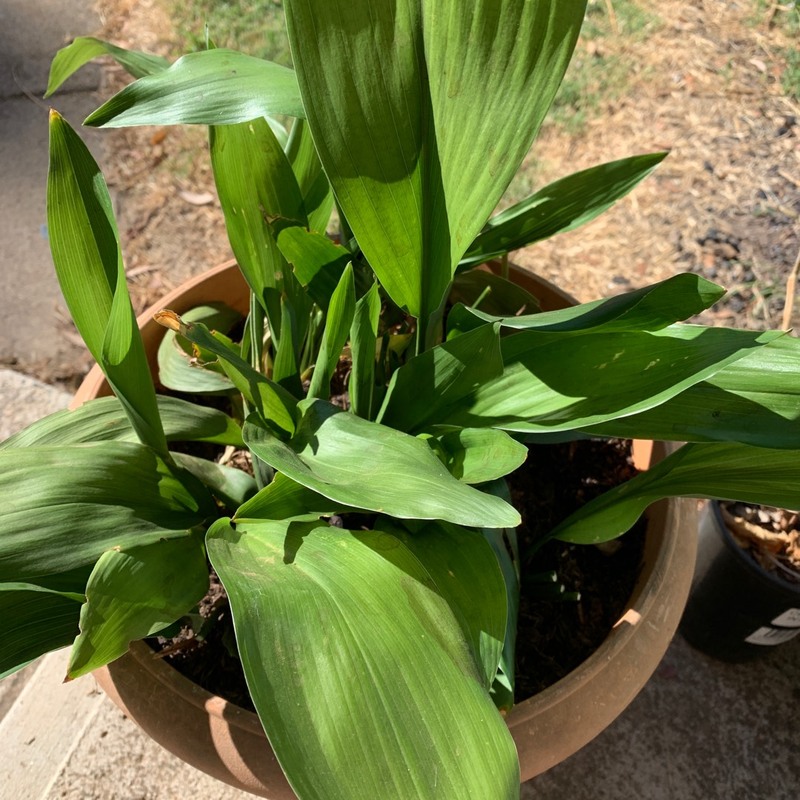 Outdoors they will need well-draining soil with humus added. 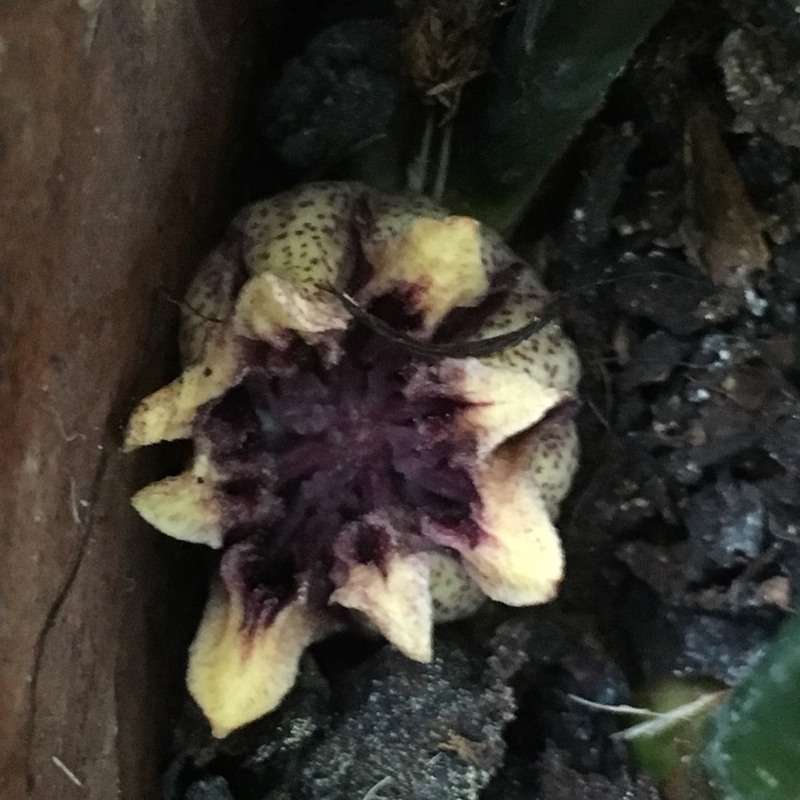 For potted apidistras use a good quality, well-drained soil mix (such as that made for African violets - or make your own with one part loam, one part peat moss, and one part perlite or vermiculite). 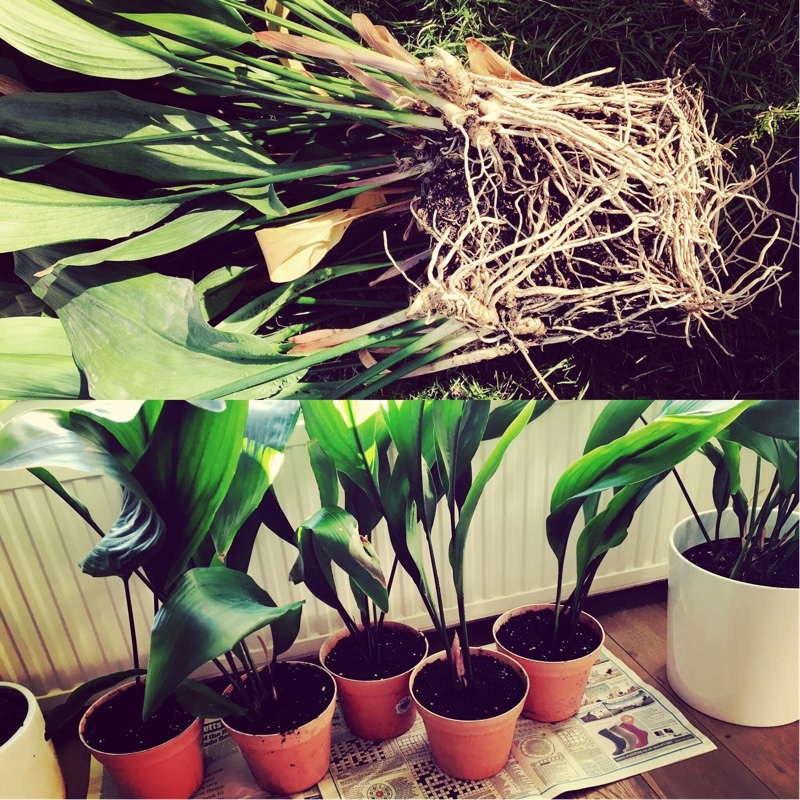 Repot every two to three years, in early Spring, before the growing season.